Back Row, L-R: Phill Lamphee (1968–75), CC Burden (Staff 1963-97), Tim Longworth (1969–76), Charlie Hussey (1974–76), Phil Everatt (196 –76), Jade Sinclair (1973–78), TBA, Hamish Wilson (1971–78), Nigel Green (1961-69), Anthony Hillier (1963–68), Nigel Taylor (1971–78), Simon Buist (1971–78), Chris Pulford (1970–77). Second Row: Trevor Patrick (1964–70), WJD White (Staff 1961-97), Dawn Surl (née Mackonochie ) (1974–76), Charlotte Bonardi (1976–78), Sarah Robins (née Morris) (1976 – 78) , Andy Mackonochie (1971–78), Ian Pengelly (1972–78), Tony Flambard (1971–78), Pete Haynes (1972–78). 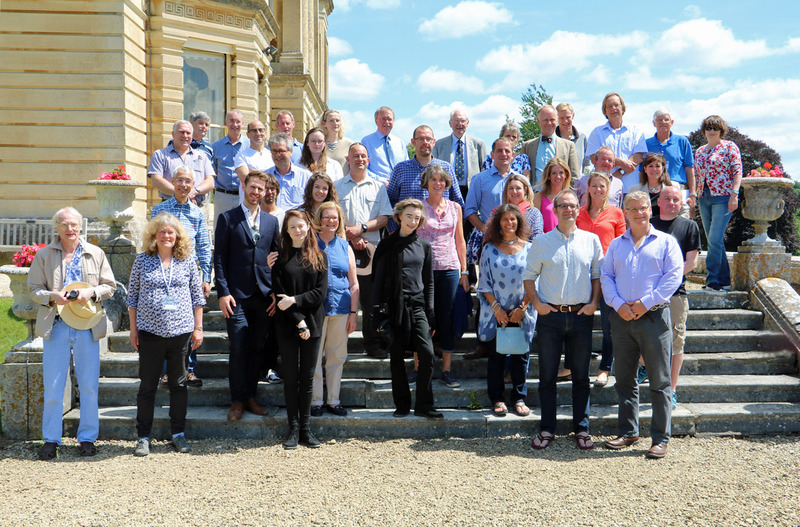 Front Row: Ollie Longworth (not at Rendcomb – son of Nick), Nick Longworth (1970–76), TBA, Des Knox (1970–75), Lucy Brain (1974–76), Chris Troughton (1973–78), Pen Jones (1976–78), Tim Parfitt (1971–78), Treve Evans (1971–78), Ileana Porras (1976–78), Sheila Lee (née Greenfield (1976–78), Gray Moore (1971–78), Brian Smith (1965–72), Rev’d Bob Edy (1959–67). On Saturday 15th July 17 ORs, who left 25 years ago in 1992, met at the Bathurst Arms. We had to choose this date instead of the official OR day as several people were in the UK from abroad. Julian Madeley from Thailand, Sarah Baker (née Langley) from Australia and Linda Eklof from Finland. Many more sent apologies, amongst them Graham Lawton on a posting with the Army in Sudan, James Grafton and Henry Pugh in the States, Sarah Pike (née Thayne) in Australia, Clair Watson in UAE and Hamish Auld leading a D of E Expedition of his own this time. We enjoyed a buffet lunch and drinks to the tune of 1990’s hits of our day. Whilst smaller groups have kept in touch over the years this was the first time we had attempted a whole year Reunion. It was amazing how easy it was to pick up with each other again and fill in on the intervening years. After lunch, we took a wander along the River Churn to Rendcomb and although the College was preparing for a private function that evening no one seemed to mind us wandering about down memory lane and back via the Wildie. The Stage saw re-enactments of fights long ago. In the Church, accompanied by Paul Irving and Paul Sumsion, both now Vicars, we thought of Reverend Sudbury and those Sunday services, and also of those no longer with us, Graham Bennett (1974-1995) in particular. Some of us later went on to Cheltenham to continue the evening and all left with the promise to not leave it quite so long next time. Julian Madeley, Tim Underwood, Sophy Layzell (née Denny), Andrew Pollard, Annitta Engel (née Duguid), Paul Sumsion. Zoe Elliot (née Davis), Anthony Palin, Kathryn Hodgkinson, Sam Cato, Sonya Grubb (née Naish), Jon Powell, Linda Eklof, John Wheeler, Patricia Houchell (née Renny), Matt Smith, Paul Irving with son Joseph. Missing from the picture is Sarah Baker (née Langley) who arrived later in the evening. OR Reunion – 2nd July 2017 The 30 Year Reunion for the leavers of 1987, Retired Staff and several ORs from other years. Front row: Des Knox (70-75), Jane Gunner (née Watson) (75-77), TBC, TBC, Suzanna van Moyland (85-87), Juliet Birley (née Hasler) (85-87), Chris Moody (80-87), Alex Brealy (80-87). Second row: Roy Edwards (72-79), TBC, TBC, TBC, Annalisa Wood (née Heal) (85-87), Lisa Davies (née Wallace) (85-87), Polly McLelland (née Nicholls) (85-87), Mark Walters (80-87). Third row: Steve Hewitt (71-77), Simon Tyler(70-77), Hamish Wilson (71-78, TBC, Chris Pope (80-87), James Mann (82-87), Phil Moore (80-87), Theresa John (née Fox) (85-87), Robin Bowen (63-70), Taryn Nixon (75-77). Back row: James Terry (72-77), Nigel Powell (67-74), Phil Everatt (69-76), Sara Freeman (75-77), Martin Graham (Staff), Bill White (Staff), Mrs and Nick Smith (72-77), Richard Tudor (73-80), Chris Pulford (70-77), Colin Burden (Staff), Sarah Robinson (75-77). Also present on the day from the 1987 group, but not in the picture: Simon Reichwald (82-87), Iain Whittaker (80-87), Dan Beales (1980 – 87), Gus Noyce, (82 -87), Raquel Hughes (85-87), Nigel Green (61-69), David Tovey (56-64). OR Reunion – 3rd July 2016 Charlie Hussey and Tessa Hicks coordinated the 40 Year Reunion for the leavers of 1976. 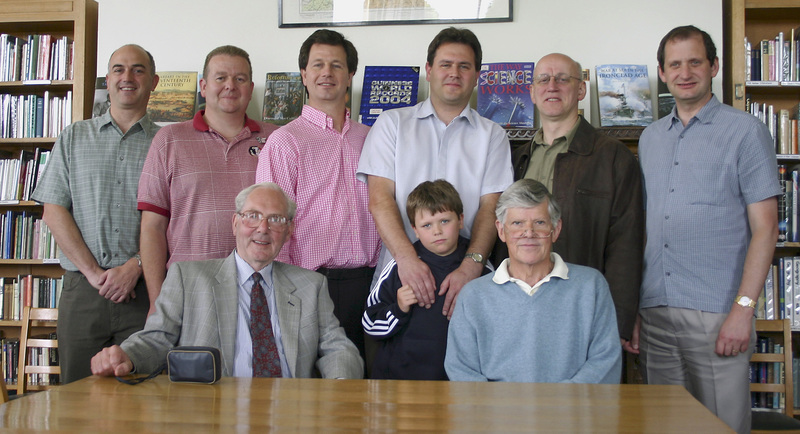 Front row left to right: Des Knox (Seated), Richard Hudson, Robert Stroud, Nick Longworth, Owen Davies, Al Bennett, Tim Nicholas, Robbie Barrett, Martin Griffiths, Nige Bradbury. 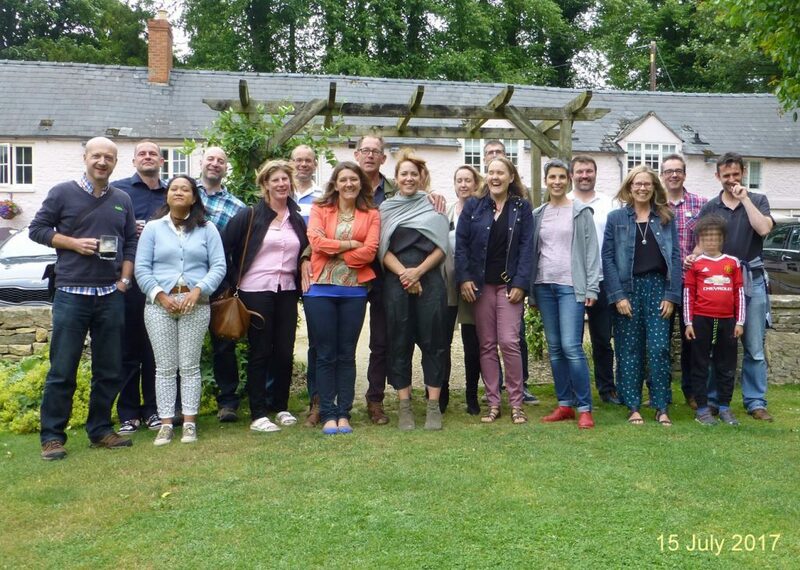 Second row: Rob Weston, Pete Sayers, Tim Ingles, Martyn Pitt, Tim Longworth, Phil Gready, Tessa Hicks (née Wolferstan), Jacqui Sayers (née Crowhurst), Clare Gardner-Medwin, Charlie Hussey. Third row: Stu Honeyball, Ian Read, Pete Walton, Chris Pulford. 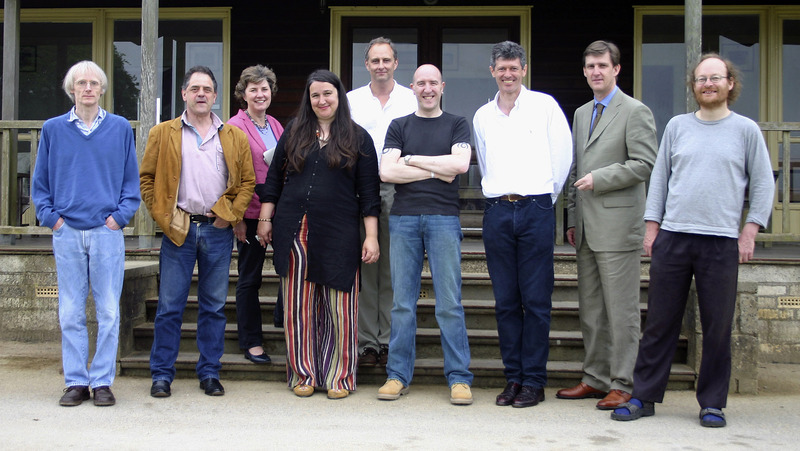 Back row: Andy Medhurst, Rob Sherratt, Simon Wormleighton, Alisdair Wilson, Hamish Wilson, Paul Curtis-Hayward, Kari Barnard-Weston, Sarah Oughton, Phil Everatt, Lucy Brain. A total of 34 in the group photograph - a record! Back Row from left: Nick Hance (1966-73), Dave Williams (1966-71) , Nigel Powell (1967-74), Jonathan Lane (1967-74), Mike James (1968-75), Stuart Honeyball (1968-75), Simon Wormleighton (1968-75), Nigel Bradbury (1969-75), Ian Taylor (1968-75), Pete Lace (1970-75), Phil Smith (1968-74), Sally Patterson (née Blyth) (1973-75), Jacqui Sayers (née Crowhurst) (1974-76). Middle Row: Bella Burke (née Bartlett) (1973-75) and Henrietta Bud (née Hooper) (1973-75). Front: Dave Shield (1966-73), Martyn Pitt (1969-72), Hamish Wilson (1971-78), Norm Crowe (1970-75), Des Knox (1970-75), Tessa Hicks (née Wolferstan) (1974-76), Charlie Hussey (1974-76). Roland Martin (1982-89) arranged a get together for all those who left in 1988, 89 and 90. 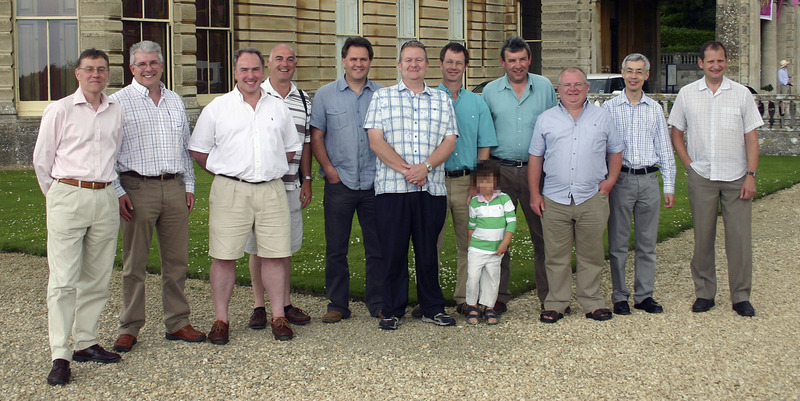 Toby Brealy (1977-84) arranged a reunion for 1984 leavers. and Toby Brealy (1977-1984) with David Essenhigh (Staff: 1969-2011) in the background. 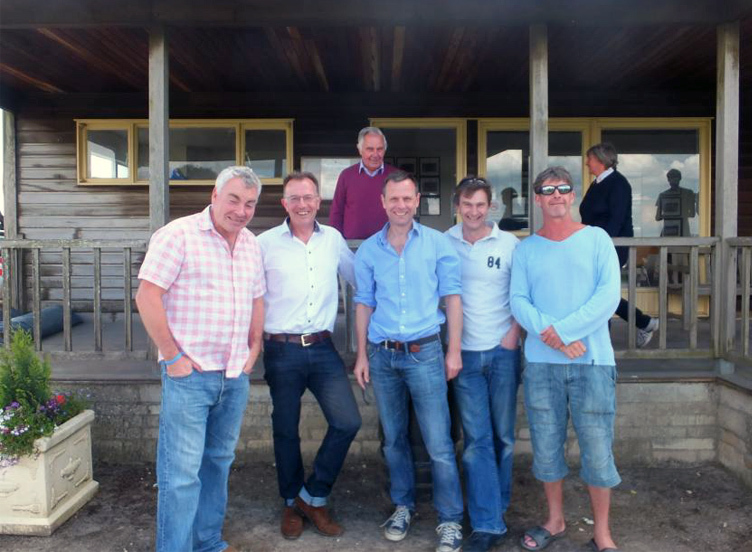 and Charles Hutton-Potts, twenty of 1983 leavers returned for the Summer Reunion 2013. Third Row: Charles Hutton-Potts, Sîan Smith (née Alexander), Benj Freeman, Richard Deacon. Second Row: Lisa Brock (née Lake) Kennedy Taylor, Russell Copley, Simon Powell, Richard Smith. Front Row: Matt Archer, Nikki Tinto, Mandy De Hennin (née Winter), Tamsin Wallace (née Morgan). Table with Colin Burden and guests. July 3rd 2011 witnessed what must have been a record turnout on the annual reunion day. 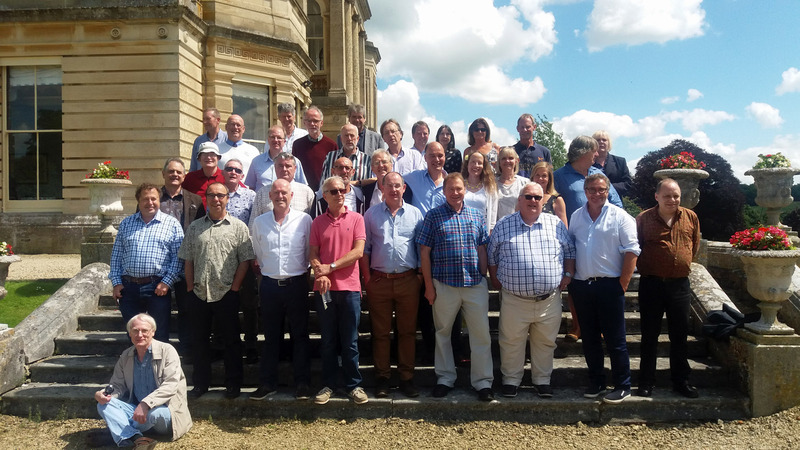 Charlie Hussey and Rob Barrett assembled many of their contemporaries from around 1976, and Chris Wood and Jon Hiscox coordinated groups from 1971 and 1967. Following on (again) from last year, another 30th Anniversary reunion took place on the 28th June 2009. 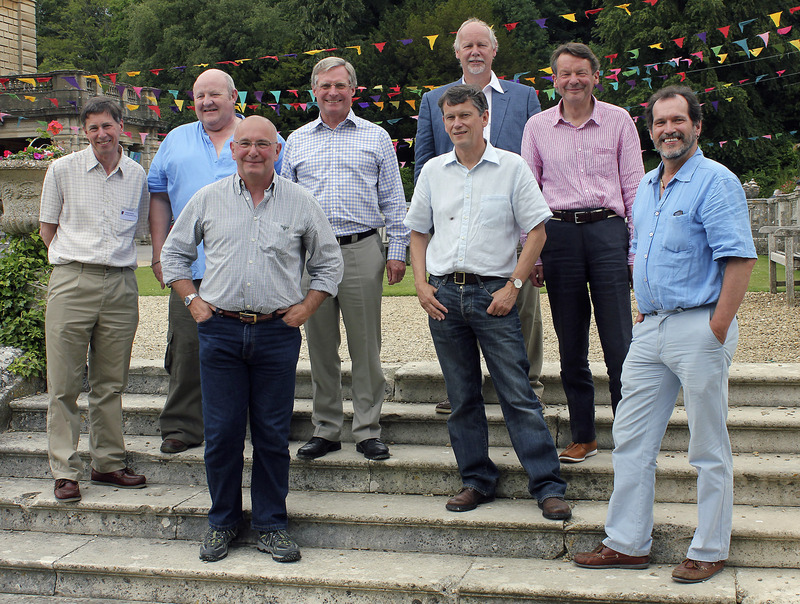 Pictured above are, left to right, Simon Howell, Shaun Brennan, David Beanland, David Marshall, Nigel Hall, Keith Winmill, Mark Middlemist, Mark Webb, Mike Cannon, Roy Edwards and Chris Morshead. 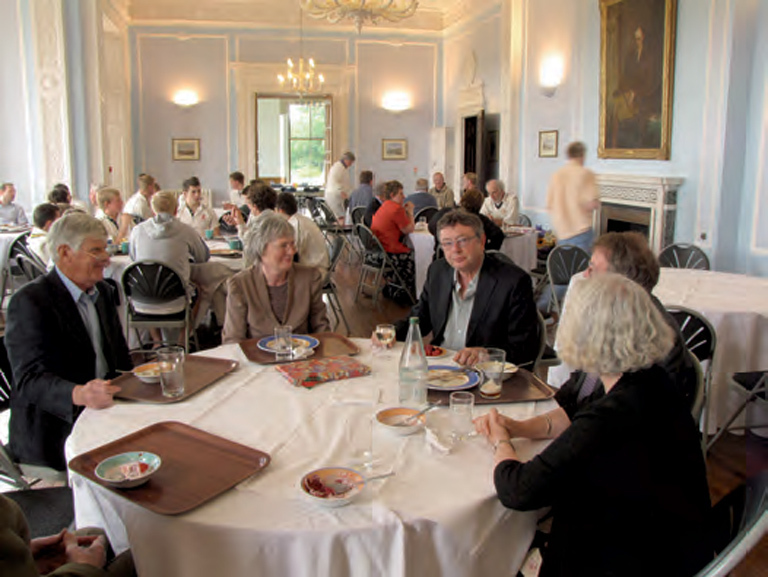 Following on from last year, another 30th Anniversary reunion took place on the 29th June 2008. Pictured above are, left to right, Gerald Hedderwick, Charlotte Bonardi, John Sinclair, Ian Pengelly, Patrick O'Donohoe, Tony Flambard, Andy Mackonochie, Debbie Harrison, Simon Buist, Tim Parfit, Steve Hewitt, Shane Galtress, Colin Hitchcock, Sarah Robins (Morris), Richard Jones (Caney), Peter Haynes, Stuart Smith, Graham Moore, Graeme Connelly, Penny Jones, Hamish Wilson, Bridget Cross, Nigel Taylor, Jonathan McGill, David Pitt. At front: Treve Evans, Sheila Lee (Greenfield), Harriet Porter and Chris Troughton. 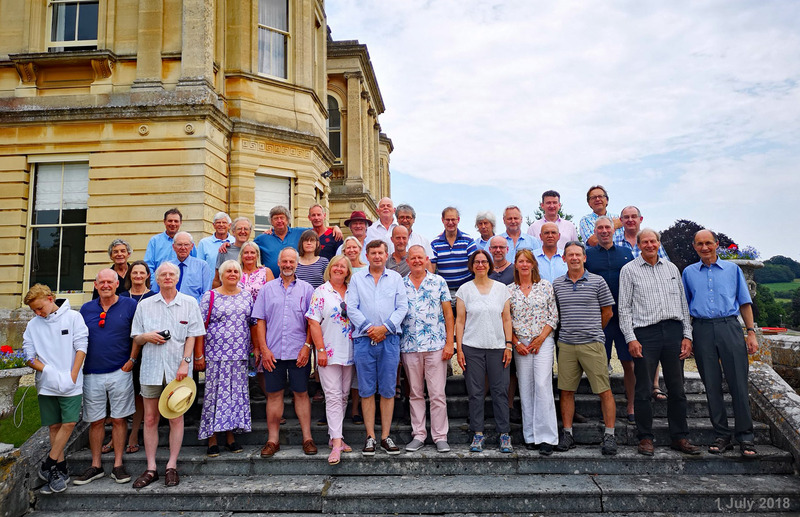 Chris Pulford (1970-77) organised a very successful 30th anniversary reunion of his contemporaries on the 1st July 2007. 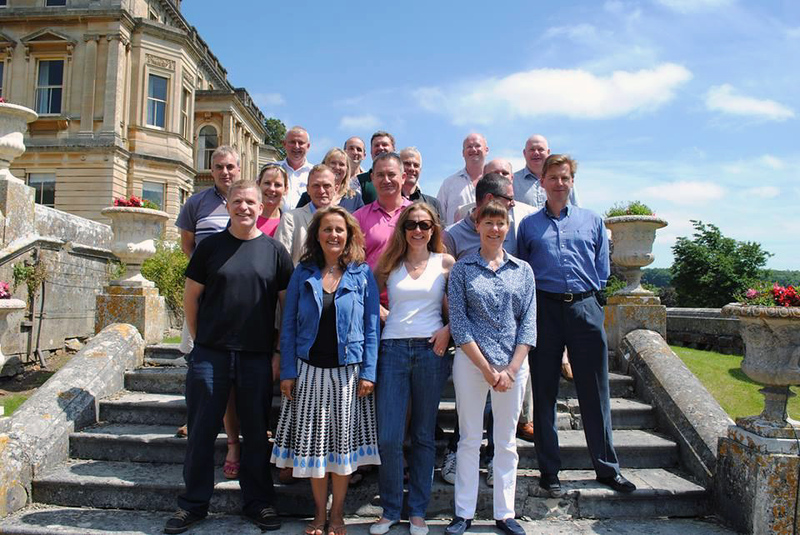 Pictured above are, left to right, David Pitt, Jane Gunner, Chris Pulford, Sarah Robinson, James Terry, Sara Freeman, Paul Maguire, Paul Curtis-Hayward, Nick Smith, Simon Tyler, Philip Lyons, Tim Lausch, Ian Underdown, Jeremy Read, Wendy Hewitt, Chris Hart, Sarah Robins (née Morris), Diane Martin (née Crewe), (guest - Michelle Ashmore), Taryn Nixon, Anthony Ashmore. Keith Winmill and David Marshall (1972-79) organised a reunion of their contemporaries on July 4th 2004. 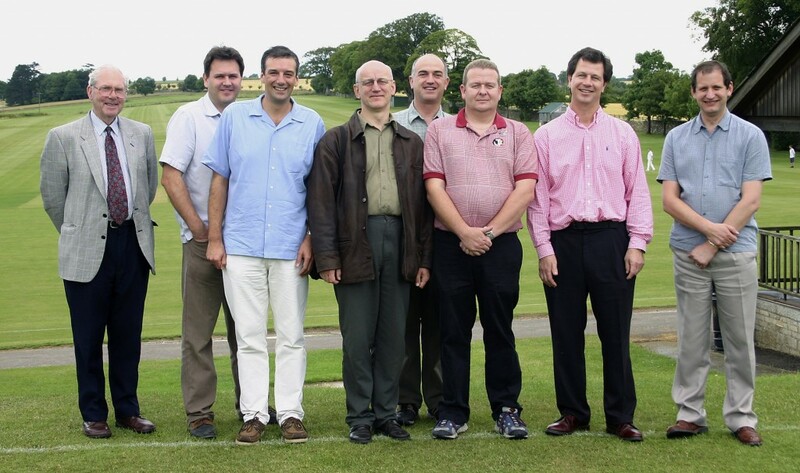 Pictured left are (left to right) David Marshall, Keith Winmill, Bill White, Mark Middlemist, Nigel Hall, Colin Burden, Simon Elliott and Chris Morshead.